Phosphorus is one of the three essential plant nutrients, along with nitrogen and potassium. Its content in fertilizers is expressed in the second number of the N-P-K ratio. For example, a plant food having an N-P-K ratio of 10-20-10 contains 20 percent phosphorus, twice that of the nitrogen (N) and potassium (K). Phosphorus is important to plants because it helps them to convert sunlight and other nutrients to food the plant needs. This is a natural source of phosphorus. Animal manures used as fertilizer include those from steers, chicken, rabbits and compost worms. The percentage of phosphorus in organic fertilizers ranges from 1 in steer manure and 1.1 in worm castings to 4 in chicken manure. Although these percentages appear small, the nutrients in organic fertilizers are fully used by plants, as opposed to some chemical fertilizers that also contain fillers and inert ingredients. This commercial chemical fertilizer is easy to use and many people claim it works well to stimulate flower production of fruit trees, vegetables and ornamentals such as roses and other flowering plants. The N-P-K ratio of this product is 15-30-15. The lower nitrogen content in this and other so-called “blossom booster” plant foods discourages plants from developing excess foliage; the high phosphorus content encourages strong root growth and the development of more and larger flowers. It’s wise to also use a high phosphorus fertilizer when you first plant trees and lawns. This liquid organic fertilizer contains smaller amounts of the three plant nutrients than chemical fertilizers: Fox Farm’s bloom booster plant food has an N-P-K ratio of .01-.3-.7. It’s made from bat guano and worm castings. Although the N-P-K numbers might appear low, the power of these organic ingredients is readily available to plants because there are no fillers or inert ingredients. The Fox Farm website reports that their product is safe to use with every watering and that it is appropriate for all flowering and fruiting plants. 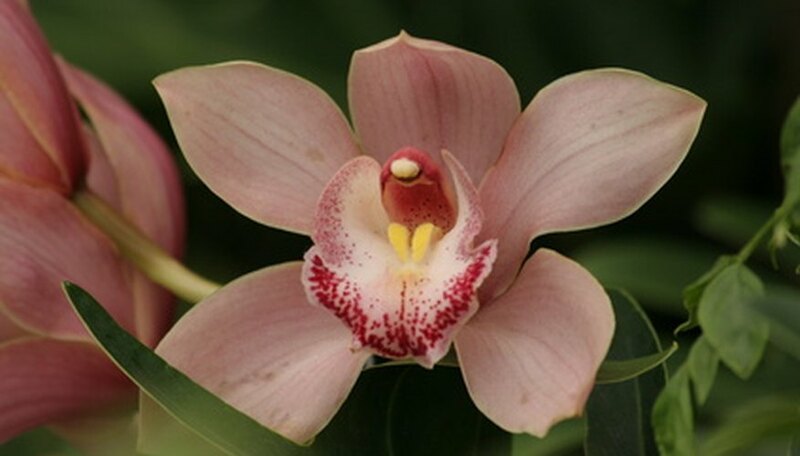 This plant food is designed to make orchids bloom to their maximum potential and contains an N-P-K ratio of 11-35-15, making it very high in phosphorus. The American Orchid Society has endorsed this fertilizer as the best for making orchids bloom well. Made by the Sun Bulb Company, Better-Gro is advertised as making orchids “grow faster than you want them to.” This product contains no high nitrogen urea, which is a common ingredient in plant foods but causes excessive growth of foliage to the detriment of flower production. For best results, product literature recommends beginning to use this product on orchids two to three months before you expect them to bloom.